Learn about Africa's endangered species on an informative full-day tour from Hazyview, close to Krugar National Park. 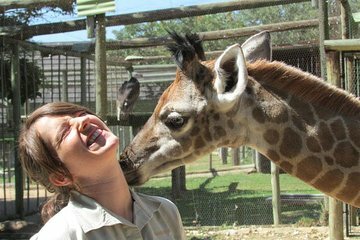 Start with a visit to the Moholoholo Rehabilitation Centre, where experts will introduce you to some of the resident wildlife including former circus lions and numerous birds of prey. Witness the centre's ongoing rehabilitation efforts, such as treatments used in the recovery of poisoned animals. Next visit the Hoedspruit Endangered Species Centre, which specializes in the conservation of rare and vulnerable wildlife—with a special focus on cheetahs.